Is it just me or does Christmas creep up faster and faster every year? With Christmas parties in full swing, sparkling lights illuminating the streets and hordes of shoppers cramming the city, it seems that the festive season is well and truly upon us. This year is particularly exciting since it’s the first time I am having the family over to my house for Christmas. Of course it’s the cooking and baking I am thinking about the most. It’s always nice to take a break from shopping and retreat to the kitchen to make some fun festive treats. I have to admit I have never been a fan of traditional Christmas fruit pudding, unless it is smothered with a generous dollop of brandy infused custard or laden with ice cream! To combine my love of cheesecakes, I have been experimenting with a Christmas inspired cheesecake for the PHILLY Cheesecake Blogger Challenge. 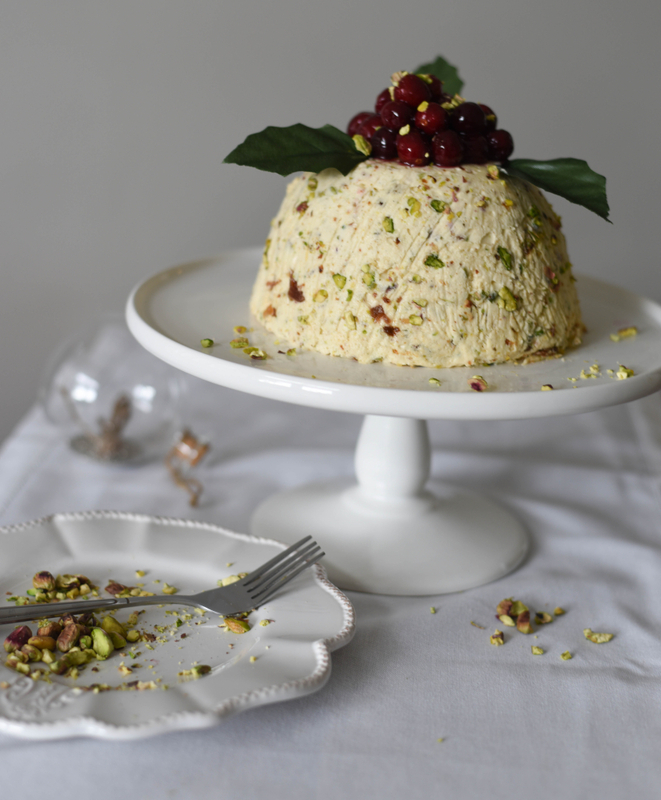 This cake is a modern twist on a white Christmas pudding and is perfect for people like me who don’t like a really rich pudding as a Christmas dessert. A base of PHILLY Cream Cheese makes this Christmas cheesecake super light and fluffy. 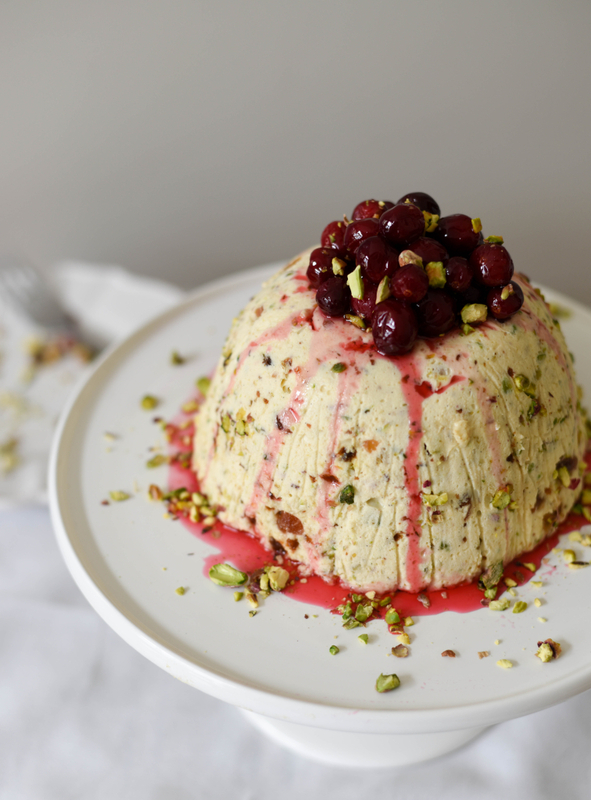 And you’ll still get plenty of Christmas flavours – since its chock full of dried fruit, cranberries and even a naughty splash of brandy. 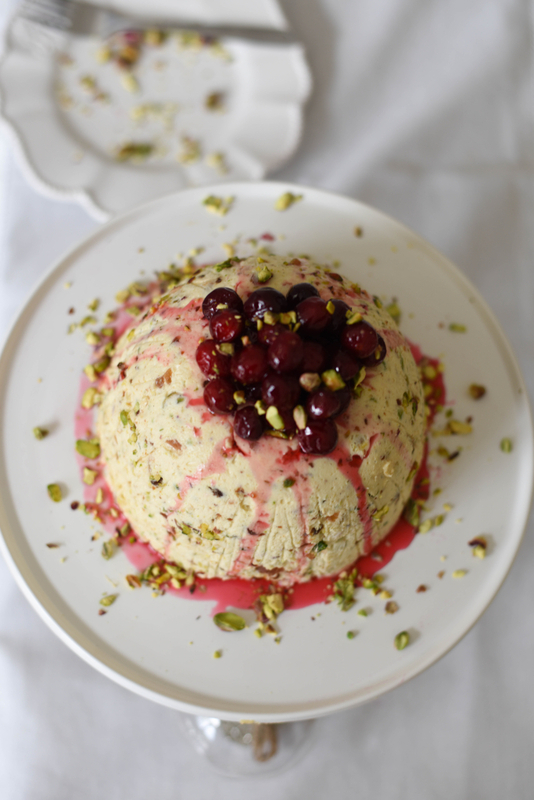 The addition of chopped pistachios gives the cheesecake a lovely texture and colour. I used a one litre pudding bowl for this cheesecake which surprisingly worked really well. If you grease the bowl well and carefully wrap cling film around in it, it’s really easy to just pull out once set. 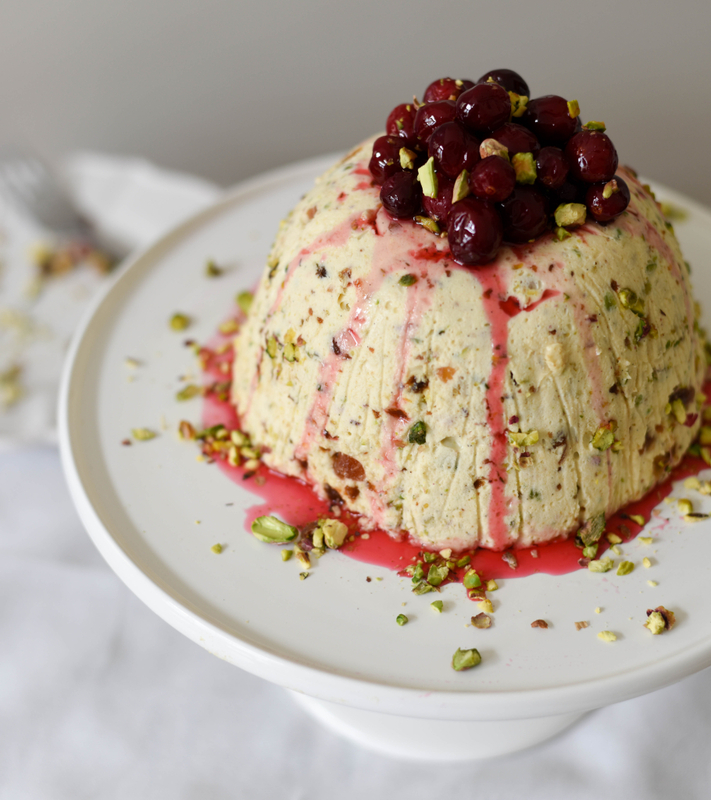 A 20cm spring form tin can also be used as a substitute for the pudding bowl. To really get into the Christmas spirit, I added poached cranberries infused with brandy to dress the top of the cheesecake. Cherries are another great substitute, they are in season now and bursting with colour and flavour! My tip is to poach them in a saucepan with a generous splash of kirsch and sugar. The best thing about this Christmas Pudding Cheesecake is the decorating. Get creative with dressing it up with some festive holly or Christmas ribbon. 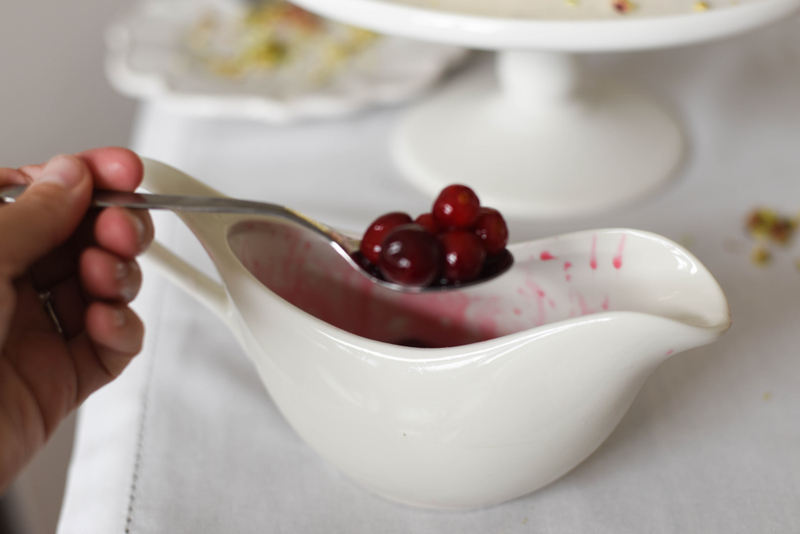 I like to drizzle the leftover syrup from the cranberries over the pudding for an even better festive effect. 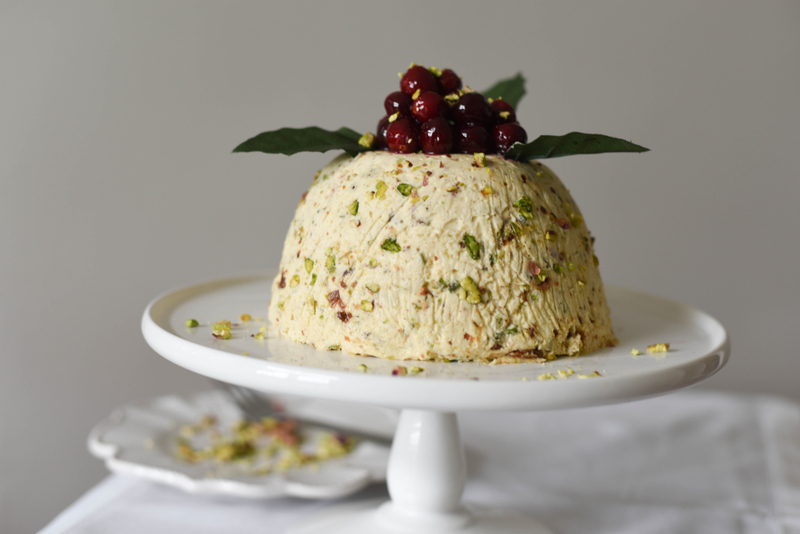 A contemporary twist on the classic Christmas pudding. 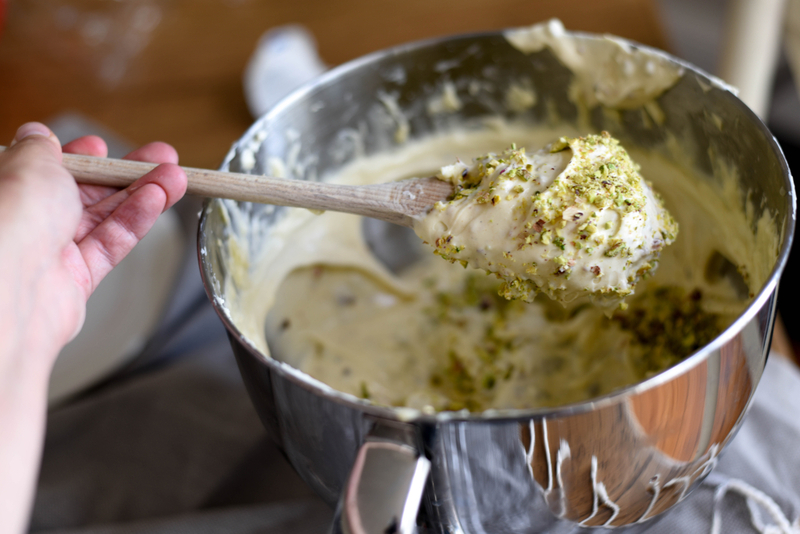 Beat the cream cheese, sugar, brandy and vanilla until it is light and fluffy. 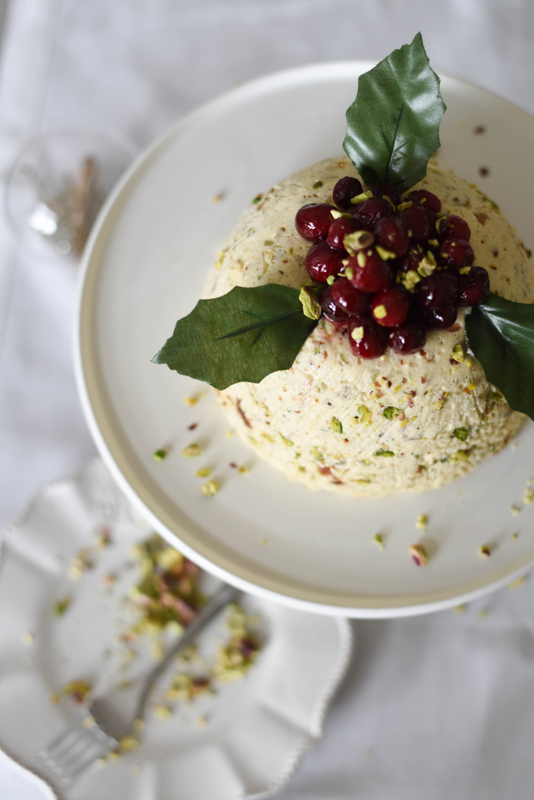 Fold in the crumbled Christmas pudding, pistachios and glace cherries until it is evenly dispersed in the mixture. Pour mixture into the pudding bowl, flattening it with a spatula on top. 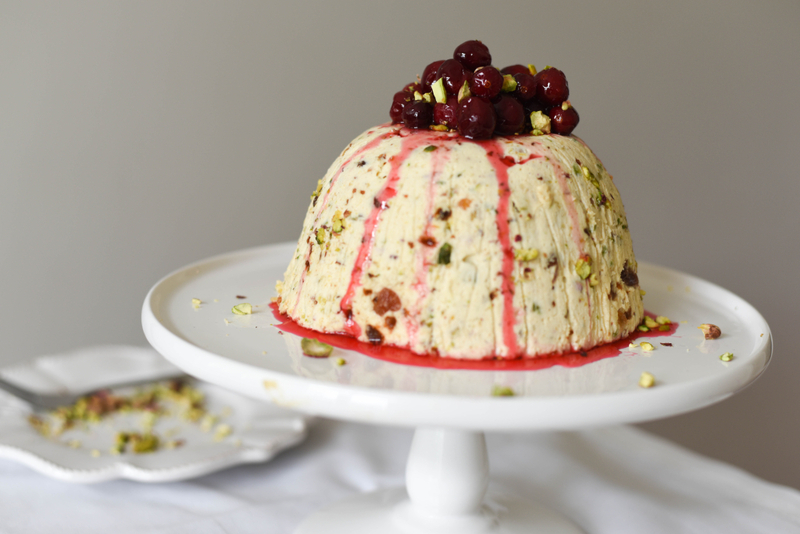 Place the pudding bowl in the fridge overnight or up to 24 hours to ensure it sets. 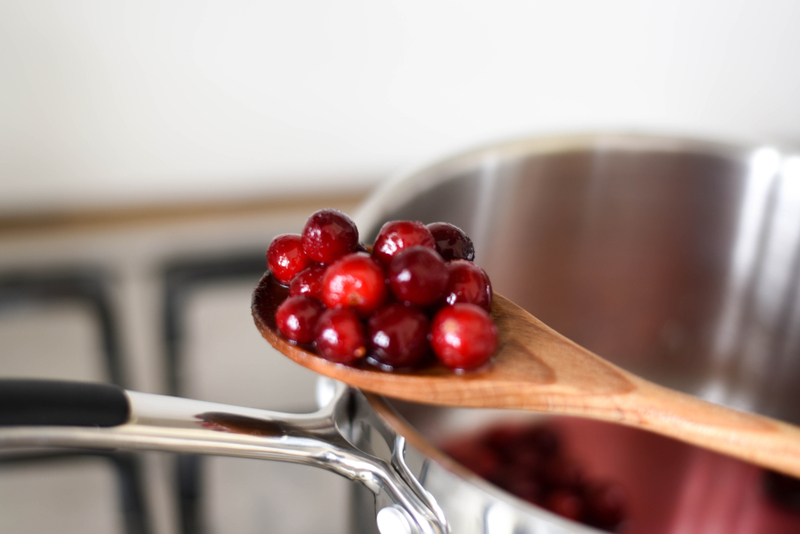 To poach the cranberries – add the cranberries, brandy and caster sugar to a small saucepan. Allow the sugar to dissolve completely and bring to the boil, then immediately turn down to simmer. Rest until cooled. If you feel like having a bit of fun on the day, hide a chocolate coin or almond in there. Who ever gets the lucky slice wins a prize. Happy baking! And have a wonderful holidays! 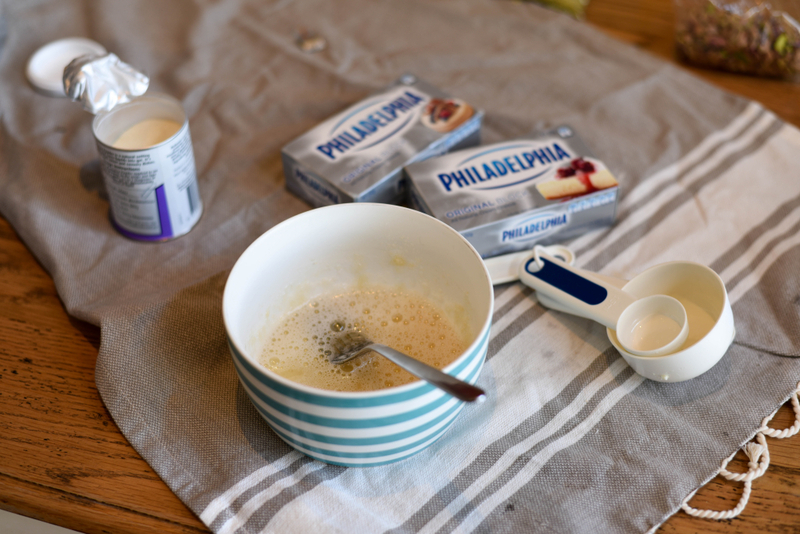 Thank you to PHILADELPHIA Australia for hosting me as part of their Christmas 2015 campaign and for providing me with the PHILLY cream cheese blocks for this post. For more Christmas inspiration from PHILADELPHIA check out their recipe collection.